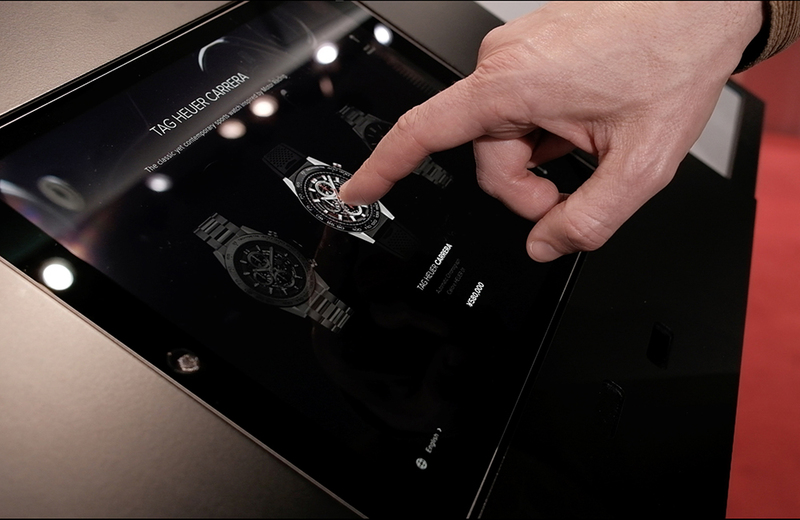 Les journées particulières TAG HEUER: In a few clicks, you can discover, try and purchase your watch. No more display cases, just modules! 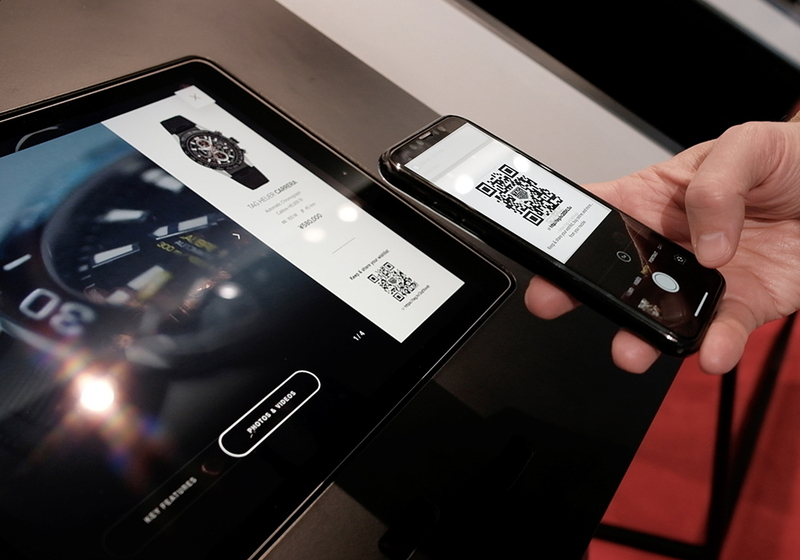 The products belong to the visitors who control them using an iPad. 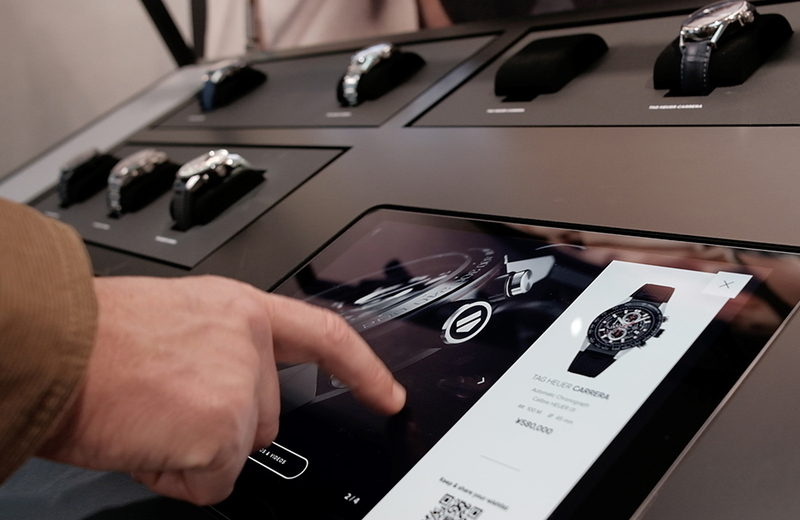 We are in the phygital world = physical + digital (products that are physically present showcased using a digital medium).